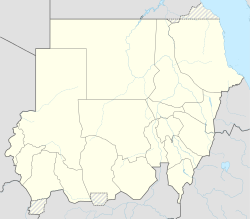 Nyala (Daju: "the place of chatting or a theatre") is the capital of state of South Darfur in the south-west of Sudan. Nyala was the capital of the Daju Empire, which was established around Jebel Um-Kurdós. When the United Kingdom conquered the present-day Sudan, the British commander-in-chief met Sultan Adam Suleiman in 1932, seeking his advice for his knowledge of the best places in terms of availability of water sources and land topography in order to establish the British Administration Headquarters in Darfur. Sultan Adam Suleiman had chosen Nyala for that purpose. However, many sites of ancient antiquities, pottery, engraved pictures of battles, horses, animals and hunting are still awaiting for further scientific archaeological work at Jebel Daju. The most important archaeological sites undiscovered yet are Nari, Kedingnyir, Dobo, Simiat Hills, Jebel Keima, Kalokitting, Jebel Wara, and Jebel Marra itself. During the ongoing Darfur conflict, thousands of internally displaced persons have gathered near the city in the hopes of protection. The refugee camp in the southern portion of Nyala is Kalma. Around 90,000 people reside in the camp. Local industries produce textiles, as well as processed food, and leather goods. Nyala has terminus ends for both road and railway, and also has a domestic airport, Nyala Airport. Nyala serves as a trading place for gum arabic and has branches of the Agricultural Bank of Sudan and the People's Cooperative Bank. Nyala is home to Nyala University, a public university. Nyala suffers from severe water infrastructure problems caused by droughts and poor water management. Most of the water used in Nyala is ground water. This ground water is heavily contaminated due to human activity, such as inadequate waste management. The lack of proper sanitation has contaminated ground water in the region. Water resources in the city have tested to contain bacteria levels higher than permissible amounts. The poor water quality in the city creates health issues. The water source in combination with the water delivery methods add to the contamination of water resources in Nyala. In many cases the water collected for distribution is not properly chlorinated, allowing further increase in bacteria levels. The educational institutions in the country nearly doubled between the years of 2000 and 2010. In the year 2000 there were 135 primary schools and 58 secondary schools. In 2010 there were 308 primary schools and 106 secondary schools. The main concern with the educational system in the city is the quality of the education. The school’s staff is under paid and unqualified for adequate teaching operations in the institutions. The government often does not commit to their financial responsibility with the schools. This affects the schools’ operations and burdens the schools to invest from their resources. Many children do not attend school so they can work and add to their family’s income. Nyala has a hot semi-arid climate (Köppen climate classification BSh). Run by Mossaad Mohamed Ali Mossaad and former Secretary-General of the United Nations Kofi Annan, the Amel Center is a treatment and rehabilitation center for victims of torture in Nyala. The center has earned Mossaad and Annan the Olof Palme Prize. Mohammed Ahmed Abdallah served as director of the center until 2007, earning the Robert F. Kennedy Human Rights Award for his work. ^ a b Chauhan, Yamini (15 March 2013). "Nyala (Sudan)". Encyclopædia Britannica. Retrieved 31 January 2014. ^ Arkell, A. J. (June 1951). "The History of Darfur 1200-1700 A.D.". Sudan Notes and Records. University of Khartoum. 32 (1): 37–70. JSTOR 41724725. ^ Steele, Jonathan (27 October 2007). "Violence flares in Darfur's Kalma refugee camp as a new cycle of persecution begins". The Guardian. London. Retrieved 2 February 2014. 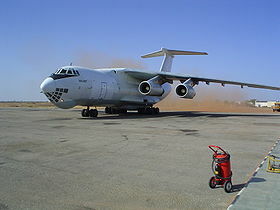 ^ "Sudan 'kills refugees in Darfur'". BBC News Online. 26 August 2008. Retrieved 2 February 2014. ^ "Nyala Climate Normals 1961–1990". National Oceanic and Atmospheric Administration. Retrieved January 16, 2015. ^ "Station Nyala" (in French). Meteo Climat. Retrieved 22 October 2016. ^ Savage, James (30 January 2007). "Annan honoured with Olof Palme Prize". The Local. Stockholm. Retrieved 2 February 2014. ^ "Mohammed Ahmed Abdallah, Sudan". Robert F. Kennedy Center for Justice and Human Rights. Archived from the original on 20 May 2013. Retrieved 2 July 2012. Arckell, A.J., History of Darfur 1200-1700 A.D. SNR. Buchanan-Smith, M. (2011, January). City limits: Urbanisation and vulnerability in Suda [Pdf]. ODI. Wikimedia Commons has media related to Nyala. Wikivoyage has a travel guide for Nyala.